Muhsin Durmaz, a judge dismissed from profession by the Supreme Board of Judges and Prosecutors (HSYK) in the aftermath of the July 15 for his alleged links to the Gülen movement, was later arrested and put in solitary confinement. According to his wife, Durmaz was being held in solitary cell for psychological torture. What follows is a letter from wife, published by Turkish journalist İlhan Tanır on Oct. 28. “My husband, Muhsin Durmaz, served in many parts of Anatolia as a judge. Despite he performed his east mission in a district of Erzincan, Kemah, he did not object to the appointment to Mardin, another eastern city, as a head of High Criminal Court. There he heard lots of lawsuits regarding terrorism for 4 years. Lastly, he was appointed to Anatolia Court House in İstanbul as a judge in High Criminal Court. From the date he started working, he had always succeeded in his profession, he had never been prosecuted during his job life and nobody had brought a lawsuit against him. A day after the awful coup attempt on July 15, my husband was first suspended for allegedly having a membership of armed terrorist organization and attempting a coup aiming to overthrow the ruling government. Immediately after he was suspended, then detained and arrested. Then he was dismissed from his profession. The detention period was so distressed that they were not provided enough food and any blanket or pillow for sheltering, also 20 detainees were in a same airless room on the chairs. The doctor inspection which should be done everyday periodically under custody was made belatedly. Despite the detention period was completed, they were taken their testimony after being waited for hours as sleepless and hungry in the hall of courthouse and that’s why they could not able to defend themselves properly. After my husband was arrested, all our banking accounts were frozen. I could not make any banking operations because my husband could not give me the power to act in his instead. So, we were doomed to be in a strained circumstances. Upon this, we start to live with my family. I could not inform my children about this situation in order to prevent them become depressed and I had to send my two sons from İstanbul to our hometown, alongside their grandfather. My husband was not only dismissed from the profession but also prohibited from performing his job during his lifetime, being labeled as member of terrorist organization. Besides being prohibited from performing his job, he was doomed to living like a terrorist in a way that his name was announced all over the world with a decision of Turkey’s Highest Board of Judiciary (HSYK). It is almost impossible to find a job at private sector. While we were feeling sad for a dismissal, we learnt that he was put in a cell in the prison. He did not get any disciplinary punishment during his detention period. 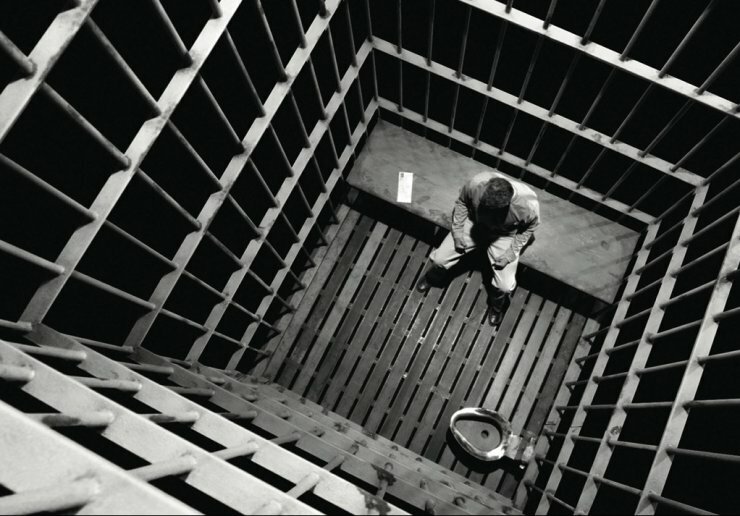 There has no reasonable evidence for being taken into solitary confinement was shown to us by the prison administration. As the prison No.9 exists for the lifelong sentenced prisonerrs, the conditions of it were very distressing for my husband who devoted himself to justice. I believe that he was put into a cell for mental torture. He was transferred from Prison No.6 to Prison No. 9 at 12 o’clock p.m.in September 24. The procedure of transferring went on till 4 o’clock a.m. as a sleepless and tiring. Then, he was asked to be searched as naked. Upon the rejection of my husband, he was searched with his underwear. My husband’s cell was surrounded with high walls, having a six-step width and an airing system that casts doubt whether it lets the sun enter inside. The camera on the airing system is located as letting the cell and the toilet been seen. He is not allowed to talk to anybody, that’s why he can only talk with me in our weekly meetings. Under ordinary times, prisoners can have 2.5 hours for exercise. However, this right is banned under the state of emergency. The social activities he can do are solely reading books and washing clothes. I asked the prison administrative to let me to see my husband on the weekends because my children are at school during week. However, they refused my request. Furthermore, it was difficult to sleep for him because an intensive light is reflected to his cell due to the airing lights are on at nights. He has no room except cell and airing. It is inevitable that he is being negatively affected in terms of psychological health due to the worsening conditions day by day in prison. All the requests of my husband regarding being taken from cell to regular prison have had no result. The re-investigation of my husband’s arrest decision which should be possible within one month by a criminal judge is not carried out. The petitions written by my husband are also not replied. The suicide of prosecutor Seyfettin Yiğit, arrested in Bursa Prison as a part of same investigation but not in isolation, indicates how harsh the conditions are and how unlawful the practices are in the prison. How can they deem my husband, spending six years while doing his job in eastern Turkey, worthy of such an awful treatments? Can they show me a reasonable evidence my husband is accused as a terrorist?